There’s nothing more revitalizing than a breath of fresh air in the Amish Country area. One of the best ways to delve into the local nature is by taking an outing on the nearby Kokosing Gap Trail. Not only will this excursion leave you feeling rejuvenated, but the path is also great for exploring the area and even getting in a little exercise during your trip. There’s a plethora of relaxing outdoor activities in the Amish County Area. Learn more about our favorite things to do in nature by viewing our Vacation Guide. Our handpicked recommendations are sure to get you feeling one with our scenic and serene destination. Although the path isn’t part of the Holmes County bike trails, it is undoubtedly the best in all of the surrounding area. And, while this paved path is nice for a walk on a sunny day, it also serves as a great Ohio bike trail. If you want to get to the best stops, we recommend that you use this method of transportation and check out the Ohio bike trail map to traverse the 14-mile pathway! You begin your journey in Danville, which happens to be where the Mohican Valley Trail also begins. This Knox County bike trail is 4.4 miles of packed gravel and ends at the Bridge of Dreams, Ohio’s longest covered bridge. However, as you progress down the smooth terrain of the Kokosing Gap Trail, you soon enter the town of Howard, where you’ll find the Rotary Park Playground. 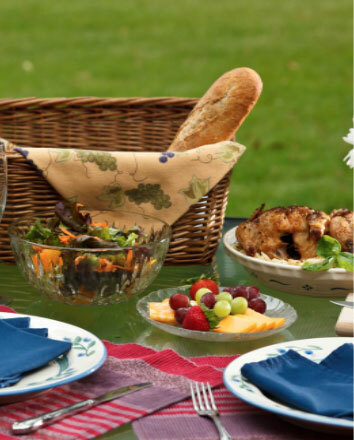 With picnic tables set up in the shade of the trees, it’s the perfect place to stop and enjoy a homemade picnic basket filled with local cheeses, fresh fruits, and other snacks from our Inn. The basket is a great treat to incorporate if you’re on a romantic getaway, or even if you just want to refuel in nature. Once you’re re-energized, continue your ride south until you reach the town of Gambier. Gambier is the home of the Kokosing Gap Trail Train. The beautifully built locomotive and caboose stand to remind those who pass by that the trail is built on the former Pennsylvania Railroad line. Further down the road, you’ll also travel directly through the Brown Family Environmental Center. Taking a visit to the center is one of the best things to do in Gambier! Its lovely butterfly garden makes for colorful scenery as you glide past as gracefully as the butterflies themselves. The stretch of the trail between Gambier and Mount Vernon runs not only alongside the rushing Kokosing River, but over it! You’ll cross two, 250-foot railroad bridges that provide gorgeous views of the rapids below. Finally, as you approach the town, you finish your travels on the Heart of Ohio trail. With so many excursions, the path is truly one of the best Knox Country bike trails in the area! We hope you enjoy the Kokosing Gap Trail as much as we do. Its proximity to our inn makes it so easy to take a quick trip into nature at any time. 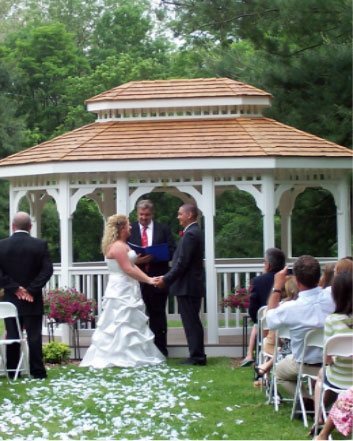 We admire the outdoors and are happy to provide accommodations with gorgeous views of the thriving greenery. 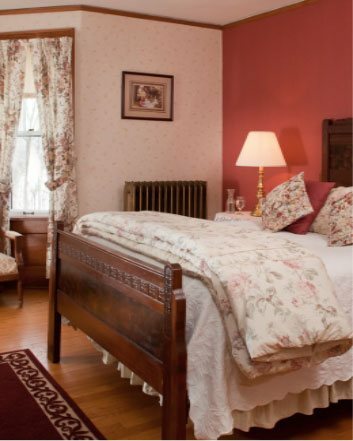 Consider staying in the corner Poplar Room that overlooks the vast, wooded hillside. You’ll feel right at home in your room as serene as the scene just outside your window. 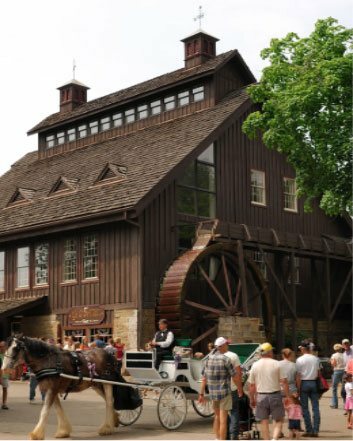 We love the Amish Country area, and when you stay with us, you’ll fall in love with it too!